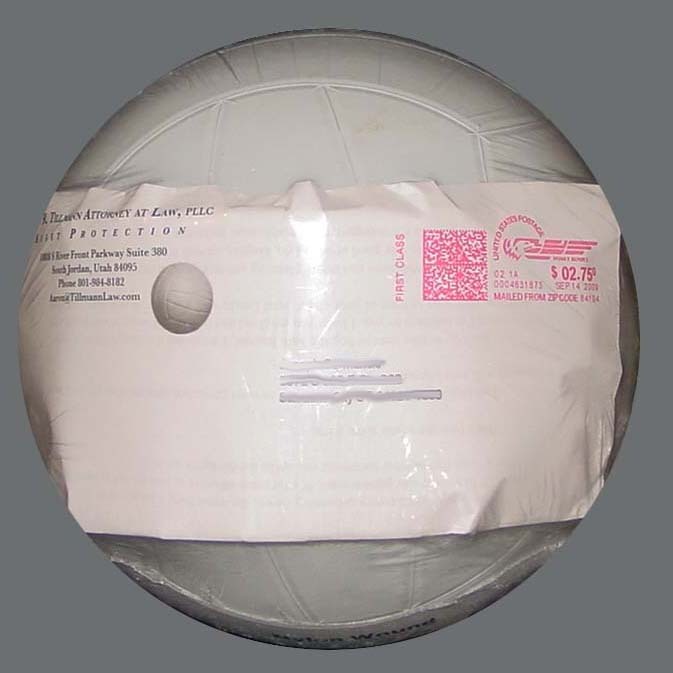 Lumpy mail doesn’t always need a box. 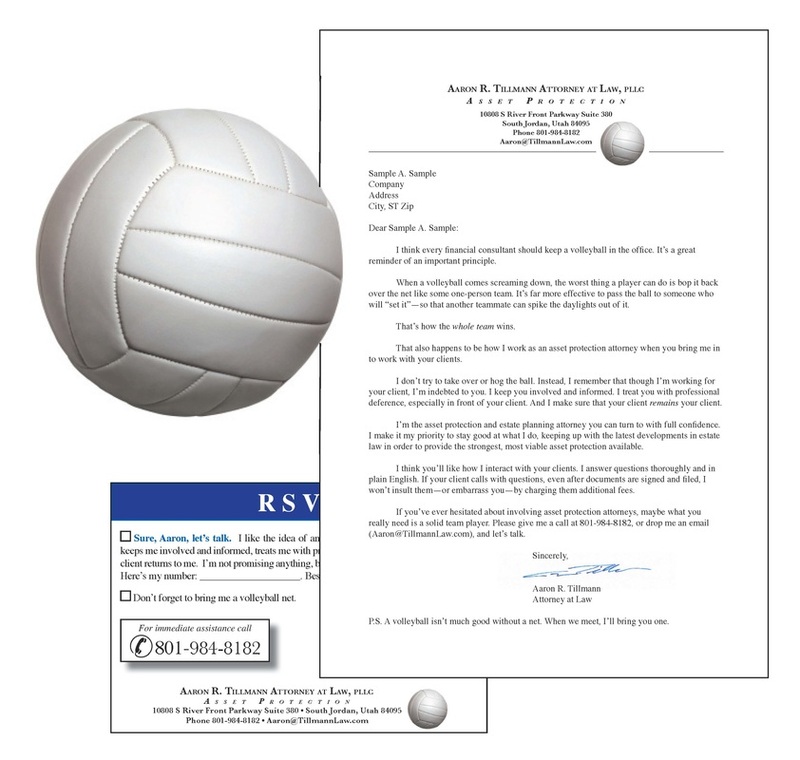 We inserted attorney Tillmann’s letter in an envelope which we addressed and shrink-wrapped to a volleyball. I can only imagine the poor letter carrier who had the things rolling around in the back of the truck. Click on the image at left and below to enlarge.